Success comes with knowing how to utilize these five basic elk sounds. You don't have to make every sound an elk makes to be a successful hunter. ElkNut goes into detail on how these sounds can be used to contact elk giving you a position to head in. It also gives examples of many specific calling encounters - which sounds should be used when and how to combine the sounds in order to be the most effective. Most hunters will be able to master these sounds within a couple of days of practicing making this 1-1/2 hour DVD a "game changer" for all your future hunts! ElkNut discusses a wide variety of elk sounds in his book and instructional DVD's. But which ones are the most important? The ones he believes are the basic foundation every elk hunter can succeed with? The ElkNut 5 covers these must know sounds. The five sounds are the sounds elk themselves use more than any other during pre-rut, peak-rut & post-rut times. These sounds can be used individually or in combination with each other depending on the elk encounter. Learn what these five sounds mean to the elk and how to make them yourself and you'll go into your next elk hunt confident you will make the most of every elk encounter! 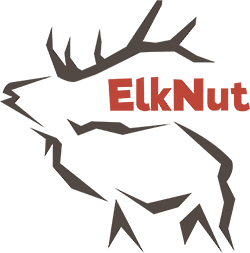 Click the button below to add the The ElkNut 5: Basic Elk Sounds for Success to your wish list.